Dream interpretation insects. Dreaming about creepy-crawlies is not uncommon, but what does it actually mean? It can be several things. Negative feelings that haunt you. Dreaming about insects or bugs – especially in large numbers – is often a symbol of negative thoughts or feelings (guilt, anxiety) that haunt you or, more metaphorically, crawls through your unconscious mind. You might ask yourself: what is it I am trying to push away or will not face? Is it an old habit or previous experience that I am trying to avoid confronting and which is now popping up? If previous bad experiences lurk in the unconscious mind, one thing is certain: they influence – often in a negative manner – the way you think and act when you are awake. This can for example be about low self-esteem because of the bad experience or a significant unconscious feeling of envy that may ruin your relationships with others. Not being in touch with your instincts. However, it can also be about a fundamental instinctive part of yourself that you are not utilizing. 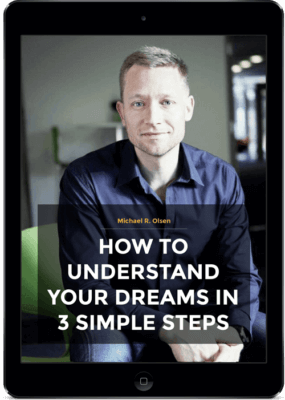 In other words, you can be too “in your head” (too rational or logical), and a dream about loads of insects can in this way be a strong indication to change your approach to life and the challenges you might encounter. Try noticing how you feel instead of overthinking things. The individual insects can also be significant. 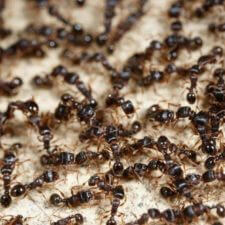 An ant can symbolize a more group based and organized approach to life – a lone ant can therefore mean isolation. Do you have to ask for help and bring others into the solution to your challenges, or do you have to find your inner organizer? The group mentality also applies to bees, but a bee that stings you can mean that someone or something has “stung you” – have you recently been hurt by others (external interpretation), or has a sudden inner impulse/feeling left negative traces (internal interpretation)? A significant theme in the world of dreams is spiders – see the blog post about Spiders. Caterpillars, cocoons and butterflies are often signs of something growing into something bigger and better – a process of maturing, in other words. What inside of you is right now a caterpillar that one day could become a big, beautiful butterfly? Worms – depending on the species – often feed on decaying things, and a dream where worms appear might be a symbol of something within you rotting or decaying. This can be a positive thing (destructive thoughts and patterns that have died), but it can also be a strong and positive, but unused aspect of yourself, and if you are not careful, this aspect might be lost. Worms, however, can also symbolize something you feel threatened by, maybe a weakness or negativism. If you are dreaming about ringworm, this might mean you have to take better care of your body (it will rarely mean that you actually have ringworm). NOTE: Dream interpretation is not always an easy skill, and when you dream about insects, it is almost certainly about something different for you than it is for someone else dreaming about insects. It is crucial that you feel the interpretation fits you, but it might be the case that the above interpretations do not suit you and your situation. I’ve yried searching everywhere but have only been able to find dream interpretations of butterflies. In my dream there were a group of them and I unintentionally killed them (I can’t recall if I killed some of them or all of them). What could it possibly mean? I dreamed i had to make a patient eat a beetle and a roach as if it was medication and they were alive. This is the second time I dream about this red bug crawling on me they don’t bit me just craw on me and they are this specific kind of bug Trombiculidae what does it meant this time I take them off and I drown them in the water ? I also have kids in my dream 3 they look about 3 to 10 years of age but they are not mine they just playing outside and i can’t remember the face of the adult that telling me look u have bugs on u take them off before they bit you what does it mean ? What is the meaning of very large bugs in dreams, like huge bugs. I guess i consider small problems to be bigger? Hi, Ysday night in sleep, I dreamt that a plant is completely covered by green worms.am not sure if it were caterpillars but many of them.any idea what that would mean. Trying to find out about my dream. A large ugly black bug keeps flying towards me. Each time I hit it with a magazine. It keeps coming back until I actually kill it. why did I dream about a fly in my eye and eating insects such as spiders and ants. Hi Jay! I had a dream about white warms on my hands and I am trying to remove it and when I remove one I found another one and then suddenly I found lots of them on my hands and they were getting bigger when it’s been removed from my hand . What does this mean ? ive had two dreams in the past month about bugs crawling all over me. the first one, i fell into a curtain of hanging spiders and then immediately woke up. the only other thing from that dream that stuck with me was before i fell into the spiders, i saw a baby elephant being constricted and crushed by a large snake. the second one, which happened today, i had ants and knats all over a tile floor and they were crawling all over my legs/feet. i remember seeing a few (like 5?) dead flies sitting in a tub of water. i woke up again after noticing the ants/knats on my legs in the dream. what does it mean to be able to talk to insects and bugs and understand fully what they were saying. actually they were talking to me in english and I was amazed that I could hear them and understand what they were saying. I do not recall the conversation. I was simply amazed by the fact that they can talk and I was able to understand. there was some other random human being in the dream, and i was able to show them that insects do speak and that I was able to comprehend the language. The dream ended with some bugs falling on my head, and bit me in like 4 different places in my head. I woke up feeling the pain for real on the upper and back part of my skull.